It really feels beefy in my hand. For a high-speed driver rim this is actually comfortable and easy to grip. The leading edge of the disc is actually flat, a somewhat abnormal feature for a high-speed overstable disc. I like that compared to a really sharp nose. Trivia: The Slab is actually a resurrection of the Innova Max, an out of production driver that was rather popular in its day. Many overstable utility discs exhibit a large amount of fade immediately after release. But even for my arm speed, the Slab goes straight for a little while before its extreme dumping fade at the end with a really nice skip. I was really surprised to find that the Slab flies similar to a new Champion Firebird. With a really good pull the Slab goes about 20′ further than a Firebird. Let’s be honest, the Slab isn’t intended to be our primary distance driver. 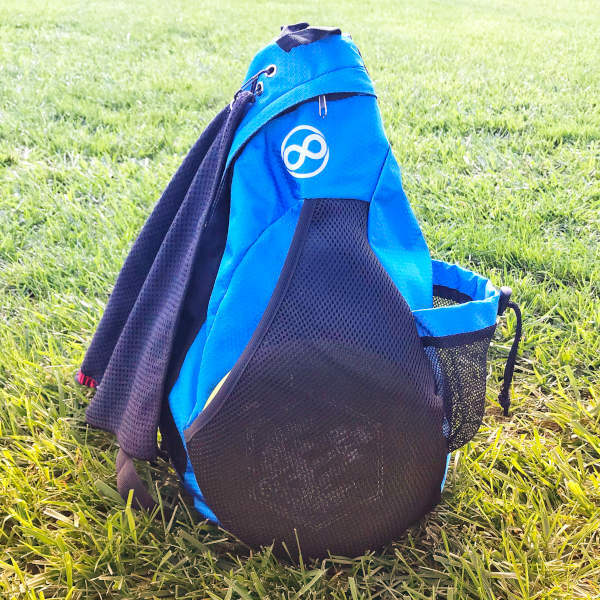 It should be a utility disc that performs differently than the rest of our bags. On an anhyzer flex shot, the Slab doesn’t gain as much distance as I would’ve expected. The low glide and less aerodynamic nose really causes this driver to slow down quickly. On a hyzerbomb line, the Slab performs really well with a reliable landing that doesn’t bounce too far away. Throw it low and you’ll be rewarded with a really big skip that could help you get around a corner. I really enjoyed throwing recovery roller shots – the flat nose seems to help it roll further. I also had a lot of success with overhand throws. My overhand line is more of a baseball outfielder’s trajectory. On this path the Slab doesn’t have too much side to side motion and goes much further than I expected. I think experienced forehand players will appreciate the Slab’s overstability. I would caution casual sidearm throwers however because a massively overstable disc like this can mask poor form or even create swing plane flaws. We tested several similar drivers alongside the Slab to help give you a better idea of the disc’s flight. 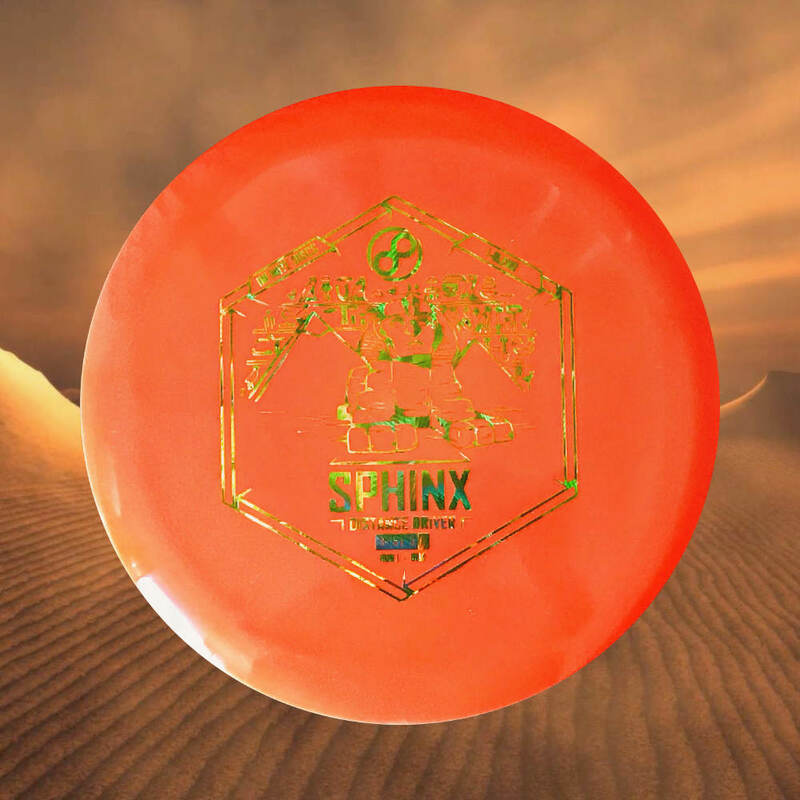 Innova X Caliber – The Slab has less glide resulting in less distance. Innova Firebird – Despite the speed difference, the Slab and the Firebird (a new Champion one, not a Sexton Firebird) throw very similar lines and distances for me. I’m sure a bigger arm would see more disparity here. 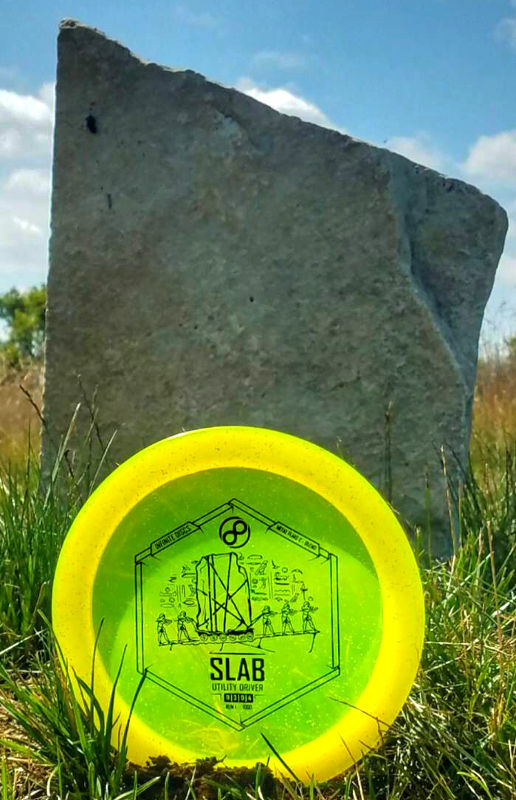 Latitude 64 Scythe – The Scythe goes abnormally far for me but it’s still a great utility disc in that it doesn’t turn and fades hard. The Slab is shorter and more overstable. 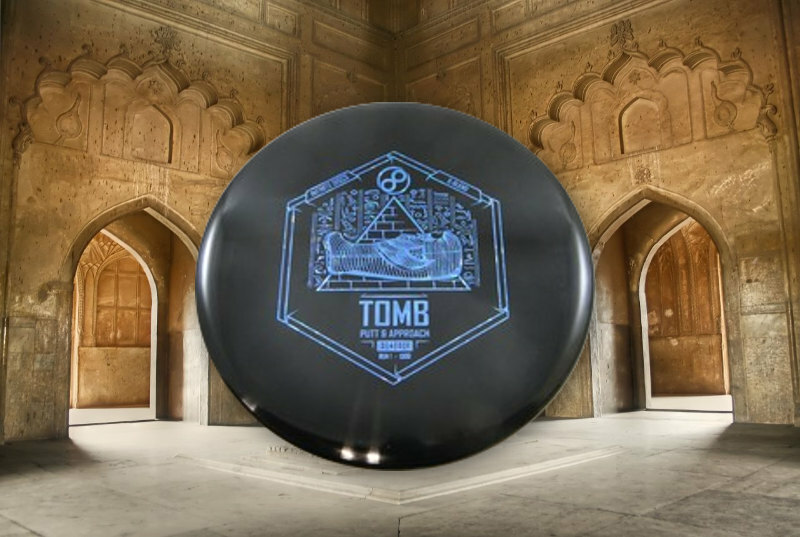 Discraft Crush – A new Z Crush throws similar to the Slab, but the Slab isn’t out of production. Discraft Machete – The Machete throws shorter and more overstable than the Slab. Every bag should have an overstable utility disc and the Slab fits that bill perfectly. 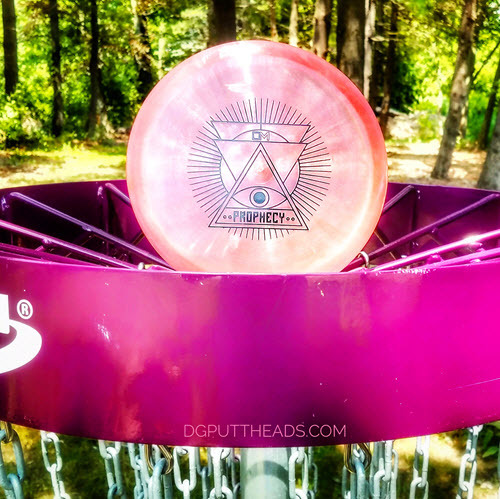 If I were throwing all Infinite Discs branded plastic, the Slab could easily play the Firebird role. I’d be able to use it for some left to right drives, hyzerbomb approaches, cut rollers, and skipping approach shots. Bigger arms would appreciate the reduced glide as it tends to help with distance control. 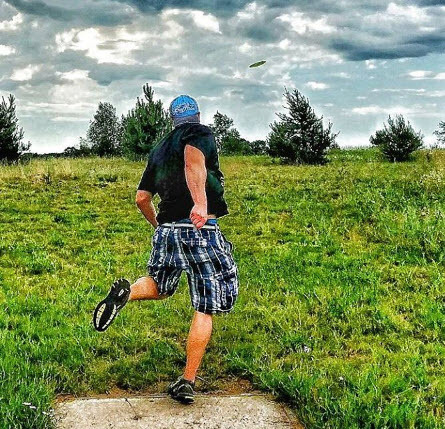 Shorter throwers still get a great utility disc with the Slab. All in all, I’m glad Infinite Discs brought back the Max mold.